After growing for some time, the market started consolidating. In the near term, we may expect the price to reach a new local maximum, and then, down-trend to continue. If you want to try and start buying the pair, it will be better to wait for an initial descending impulse. 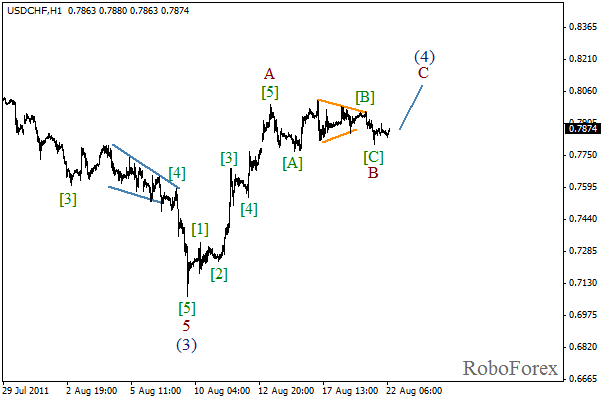 We can assume that the current flat pattern is wave B inside the fourth wave. Most likely, the range of wave C will not be very big, that’s why we should expect a bearish wave (5) to start within the next several days. 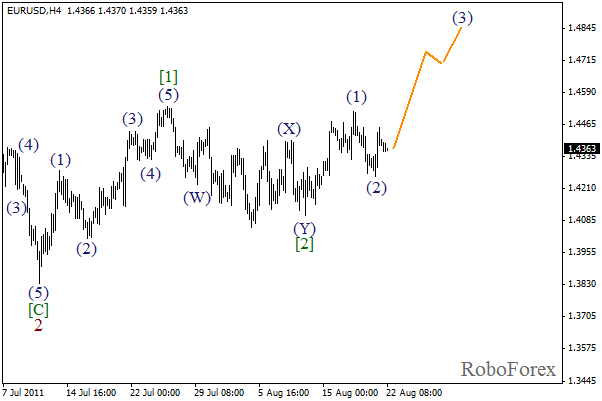 Euro is about to start an extension in wave (3). While doing it, the market may reach the target of 1.5000, or, at least, get close to it. There is a possibility that the correction may continue, but nevertheless, even the correction won’t be able to cancel bullish targets. 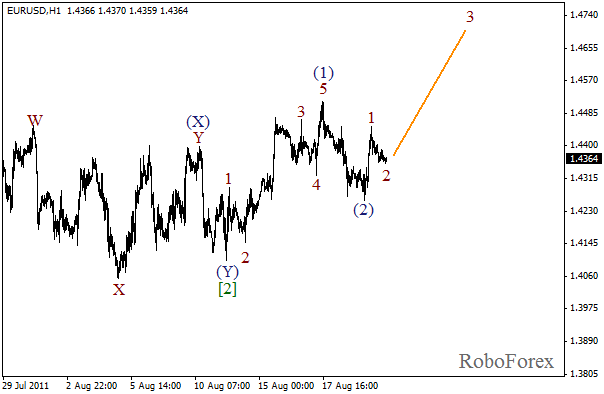 An initial rising impulse has been completed in wave (3), and currently we can see the formation of the second wave. 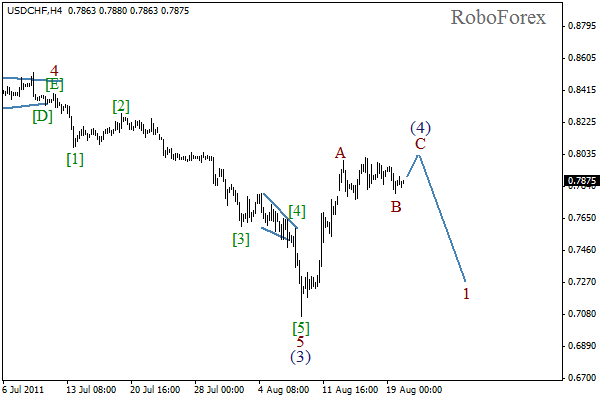 We may assume that it’s about to be completed and the third wave may start later this day.